Many people love the idea of a Mediterranean climate. But, the thought of having to move your entire life to a new country is no-so-appealing. Luckily, however, there is no need to get your passport out; Palos Verdes has you covered! Of course, you want to make sure your home is comfortable all-year, so here are some top design factors to look for in Palos Verdes homes so that your home will always be the perfect temperature. Although Palos Verdes is known for their warmer, Mediterranean-like climate, it can still get a little chilly during the winter months. 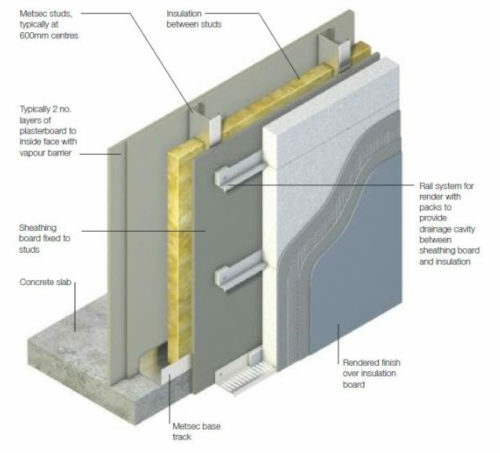 Because of that, you should consider building insulated external walls for your home. ICF homes built with insulated external walls are made using composite concrete blocks, which are lighter and more durable than traditional concrete blocks. The walls are still covered with the siding of your choice, making your strong exterior also visually appealing. Not only will you save a lot of money on heating and cooling, but insulated external walls will make your home even stronger against potential bad weather! Everyone loves to show off their family with pride and joy. So, why not invest in some quality family portraits to hang on your walls? There are a number of companies where you can send your family portraits to have custom small to big canvas prints done in any size you desire to put on display. Not only will this be a way to show off your family, but it will the family portraits double as a piece of artwork and provide a personal design touch to your home. No matter where you live, efficient drainage is something incredibly important. Even in Palos Verdes, which is not really known for rain, you want to be prepared for potential rainstorms. Not only are they important for the exterior of your home, but can be incredibly helpful in garages, bathrooms, swimming pools, and hot tubs. Pre-sloped slot drain options offer a cheaper and more efficient drainage system that will help to ensure standing water and sediment do not collect, which can lead to blockages, bad smells, and countless other water problems. So when you are looking for an efficient drainage option, go with a pre-sloped slot drain! While accent walls are a popular design concept, going with just a “pop of color” can get old after a while. Instead, you can consider opting for texture wall finishes. From reclaimed wood to tempered glass, there are countless product options to consider when it comes to texture wall finishes. They provide a simple, easy way to create a unique accent wall that will really stand out. Or, if a full accent wall is not your thing, you can add some texture wall finishes to your fireplace, as a backsplash in your kitchen, or even to make a headboard for your bedroom. The options are only limited to your creativity! 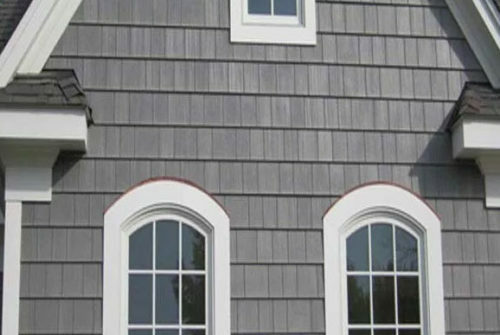 Another design element to consider for your home’s exterior is fiber cement siding. Unlike traditional vinyl siding, Allura’s fiber cement siding is made using a mix of composite cement that make it more durable, fire-resistant, and easy to care for. It is a beautiful option that comes in many colors and styles, and can even take on the appearance of a wood home, without all the required maintenance that comes with traditional wood homes. Plus, you won’t have to worry about wood-rotting insects getting in and causing damage with fiber cement siding! Like with any location, there are certain design factors that really transform a home. Be it to make it look even better or to create a more efficient home, these are some great options to consider for yourself. Palos Verdes is a dream location, especially if you love a Mediterranean climate, but don’t want to move to a different country. It’s just a matter of making it your own!